A groundbreaking drug, rifampin, could help to end the global tuberculosis epidemic, according to researchers. Clinical trials carried out at the McGill University Health Centre showed that rifampin is less toxic and is more effective than the standard of care treatment, isoniazid. The results of two trials, conducted across a number of countries, were promising and showed that four months treatment with rifampin was non-inferior to a nine-month regime of isoniazid. Although the World Health Organisation (WHO) recommends isoniazid be given for six months, partly due to cost. The side effects of isoniazid include diarrhoea, nausea, weight loss, fatigue and liver failure, and can make the patient so unwell that treatment has to be stopped early. Adults in Australia, Benin, Brazil, Canada, Ghana, Guinea, Indonesia, Saudi Arabia and South Korea were involved in the study, with the paediatric participants confined to the first seven of these countries listed. The lead researcher, Dr Richard Menzies, studied 850 children and 6,800 adults with latent tuberculosis, a dormant version of the disease that does not cause symptoms but may lead to serious illness without treatment. More than 85% of children completed a course of rifampin without developing active TB, compared to 76% of children who completed isoniazid, with two developing active TB. Similar results were found in the adult population, with higher acceptance and completion of the treatment of rifampin, and fewer side effects, particularly drug-induced hepatitis. 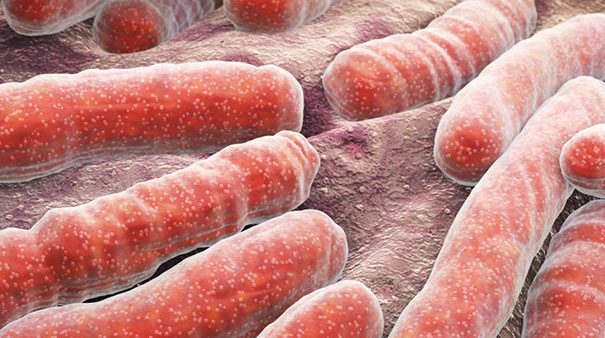 According to the WHO, TB is one of the top 10 causes of death worldwide. In 2016, 10.4 million people fell ill with TB, and 1.7 million died from the disease (including 0.4 million among people with HIV). More than 95% of TB deaths occur in low- and middle-income countries. However, progress is being made and approximately 53 million lives were saved through diagnosis and treatment between 2000 and 2016. The WHO has listed the eradication of TB as one of its Sustainable Development Goals, to be met by 2030.